There’s no faking full bourbon flavor. Flavor has to earn it. So that’s what we do in Clermont: we earn it. We start by selecting the finest grains. And we finish by meticulously aging our whiskey in white oak barrels with greatest char. This provides a unmistakable richness and signature sweetness. It’s the natural way. And there’s no cheating nature. A special, limited-edition whiskey that features our biggest and boldest rye liquid yet. Named “Best Rye Whiskey ” at the 2018 San Francisco World Spirits Competition. 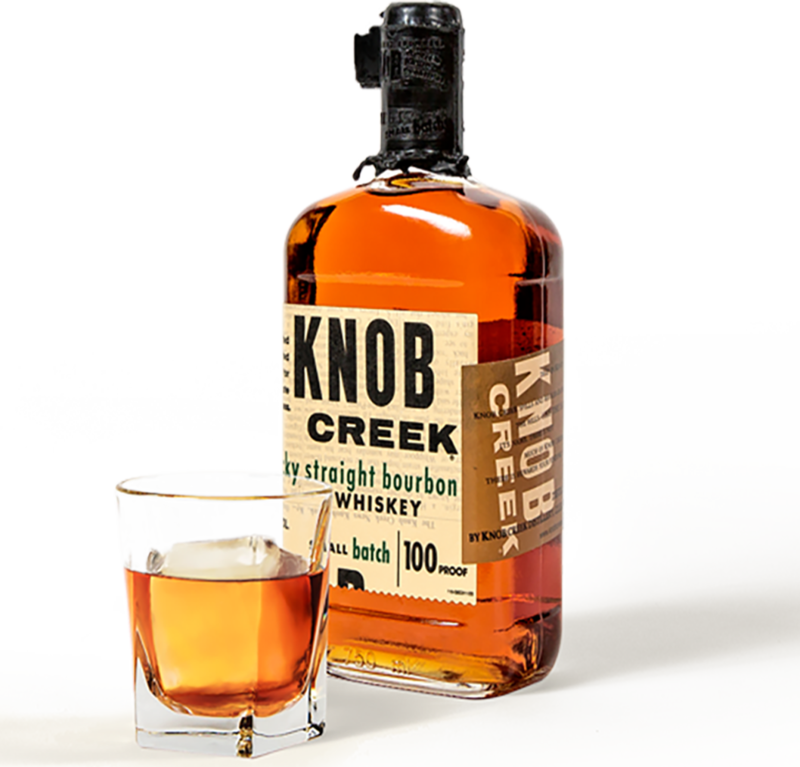 This liquid takes the rich and savory notes of our award-winning Knob Creek® Cask Strength Rye Whiskey to the next level. It is as an extra-aged, uncut and unfiltered* straight rye whiskey. When the Prohibition lifted in 1933, bourbon makers had to start from scratch. Whiskey takes years and years to make, but the drinking ban overturned overnight. To meet their sudden demand, distillers rushed the process. They sold barrels that had hardly aged. Softer, mild-flavored whiskey became standard from then on. Full flavor was the casualty. But we brought real bourbon back. Over 25 years ago, master distiller Booker Noe set out to create a whiskey that adhered to the original. Time-tested way of doing things. He named it Knob Creek. We age every batch in maximum-char barrels to pull every bit of natural sweetness from the oak. Then we bottle it at an uncommon balanced 100 proof. Come see us at the Wine and Spirits Cellar and shop our Knob Creek collection!